Utah Ski & Golf and The Attic Snowboard Shop is Salt Lake City's premier ski and snowboard rentals and retail store. There is a reason we have been customer voted UTAH'S BEST RENTAL SHOP 25 years running!!! We have been family owned and operated and serving the Wasatch Valley with premium service since 1985. With our high quality gear and affordable rentals, we've expanded to include four locations throughout Park City and Salt Lake. Whether you ski or snowboard, we carry all the gear rentals you need to get up on the mountain. We offer the best selection and the most competitive rental prices around. If you want to try out the latest in affordable winter sports technology, we sell 11 major brands of equipment and gear is available to demo. You may also find one of best selections of snowboard equipment rentals and gear up in the Attic. With our wide variety of clothing brands, skiing gear, snowboarding gear, and accessories, we can get you fully equipped for your experience on the mountain. For avid skiing and snowboarding enthusiasts, price often holds them back from hitting the slopes. Our company strives to offer alternative ways for individuals to get out on the mountain with the proper ski or snowboard gear. In addition to our affordable rentals, discount lift tickets are available IN PERSON ONLY at our Salt Lake & Park City stores. Tickets are not available at all locations. 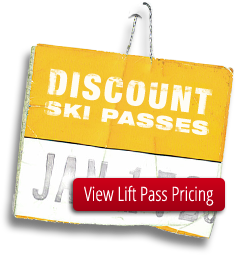 Select the links below to view our lift pass pricing. Discount lift tickets are available IN PERSON ONLY at our stores, though equipment rentals can be done online.